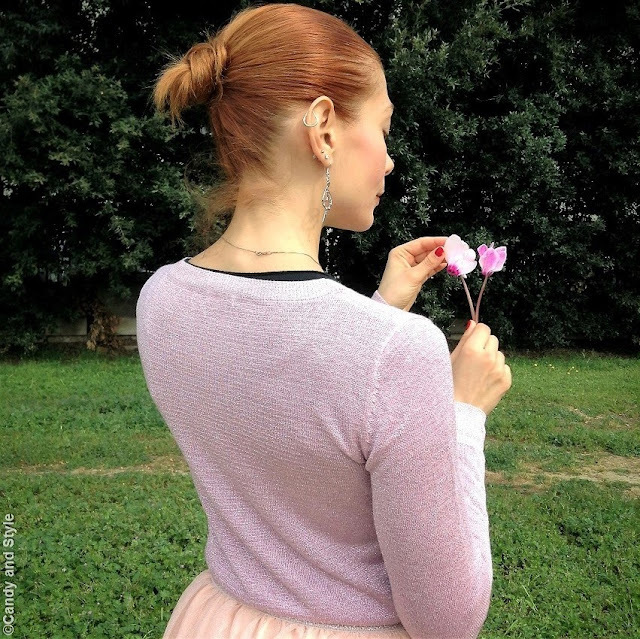 Adoro la gonna in tulle rosa, anche io ce l'ho, bellissima! Love the cute look! The skirt is just too pretty. The soft colors are so feminine and romantic and this silhouette is so graceful on you Lilli! Happy Monday! Dear Lilli, you are a pretty ballerina. ;) If i was younger, i had always a passion for Tutus. This is a great piedes for difference Style. I like your combination with the romantic touch. Another cool way to stlye a Tutu, is with Biker-Boots and Leather-Jacket. Ballet is such a wonderful and pretty inspiration Lilli. You look like a great ballerina. Great ballet piece my dear! You look so pretty, dear Lilli! Love the choice of color too! So lovely, tutu is very cute piece and you look fantastuc this romantic style, love it your otk boots, kisses.